This news seems to be a hot topic over the web and many websites have relayed it telling that Sapphire is rebranding HD 5550 to HD 6390. 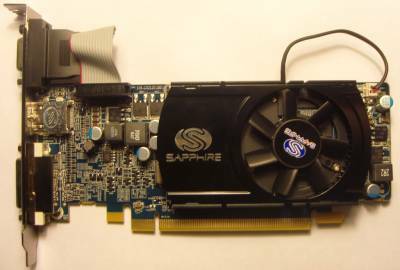 I wish to clarify this point: I never wrote that Sapphire is rebranding HD 5550. I received the pictures of a Sapphire HD 5550 detected as a HD 6390 by GPU Caps Viewer 1.9.4. That’s all. This is a nice example of news distortion (and domino effect…). 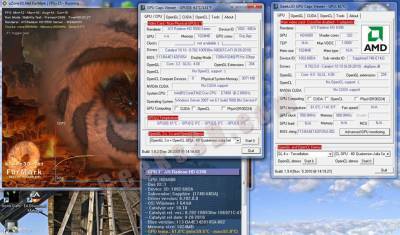 I just received the proof in images: a Radeon HD 5550 (here a Sapphire‘s model) is detected as a Radeon HD 6390 in GPU Caps Viewer 1.9.4. Why because the HD 6390 uses the same device id than the HD 5550 (320 scalar processors) and for GPU Caps Viewer 1.8.2 the device id 0x68da is a HD 5550. Not a big story but it always fun to see rebranding in action. Detailed pictures are available HERE. Russian PC maker K-Systems will offer three rehashed HD 5000 cards in its systems starting November. The cards are apparently branded HD 6250, HD 6390 and HD 6510. At this point we don’t know which HD 5000 series cards they are based on, but we’re probably looking at Cedar and Redwood cores. 6390 has OpenGL 4, how much is that better then 3.2 or is this just driver limitation? all DX11 card can have OpenGL 4. and 5xxx have 4.0 (and with future driver 4.1 too). they just didn’t update site with specification. This is a list of the DevID’s to compare. Sapphire Technology does not rebrand 5k to 6k series and does not sell any cards to K-Systems company. Accoring to CNews (russian online portal) (http://www.cnews.ru/news/top/index.shtml?2010/10/21/413140) K-Systems uses rebranded Radeon HD 6250, 6390, 6510. Sapphire is not involved in this.